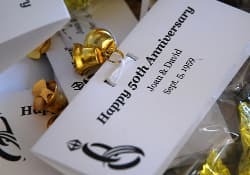 When it comes to 50th wedding anniversary party ideas nothing beats having a good look at what others have done to create a gorgeous and successful party. 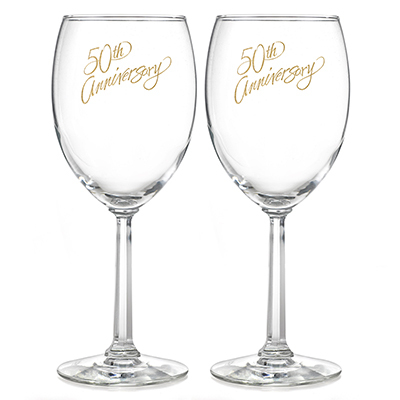 There is one big common factor with all of the 50th anniversary parties and that is everyone having fun, meeting with old and new friends and sharing memories. Plus there is always a photo taken of everyone at the party. So it may be a really good idea to hire a photographer for the evening to ensure you capture the memories. 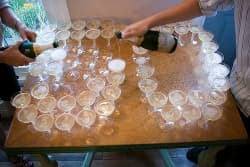 Venues for parties range from big expensive hotels and ballrooms to a more intimate party in your own backyard. 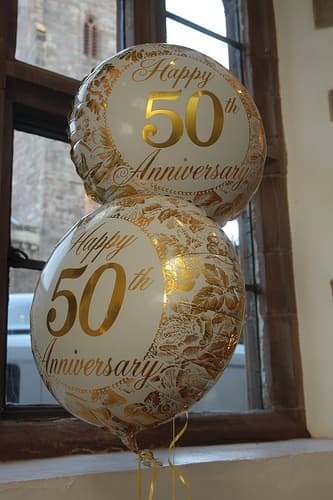 There really is no right or wrong place to hold your 50th anniversary party - just make sure it can fit everyone you have invited! And as you can imagine gold is the color of the day. 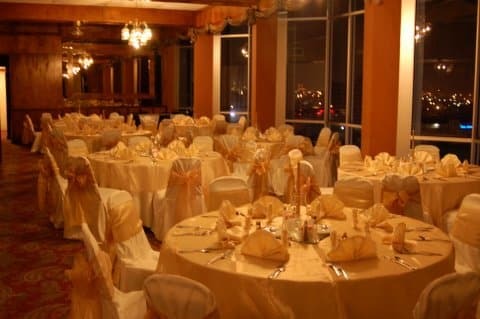 This more formal party has touches of gold on the sashes of the chairs and napkins. 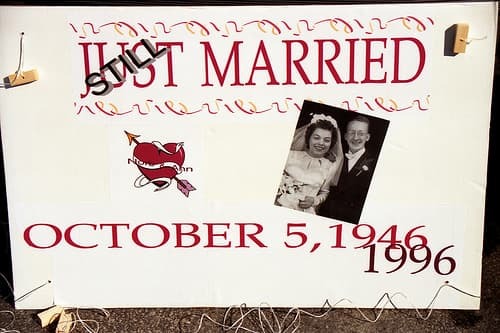 Real anniversary parties do have themed balloons and banners. 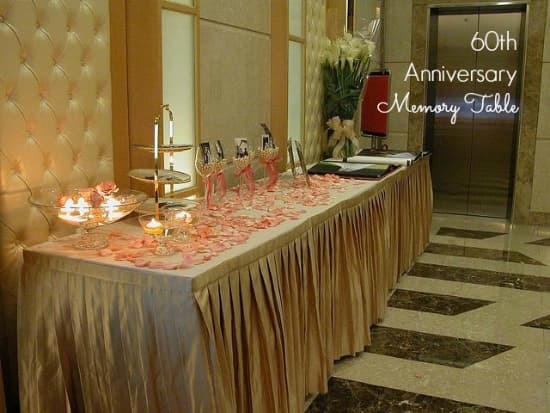 Plus accents of gold with gold tablecloths and flowers. 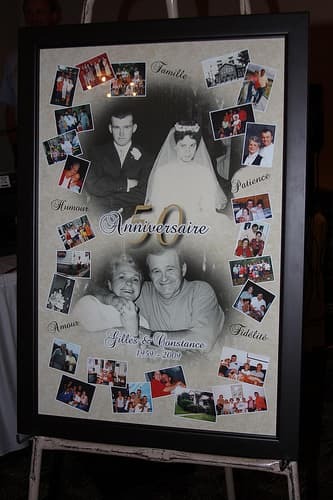 A way to make the party more unique to you is to have a memory table with photos from your wedding day and from the past 50 years. If you have your wedding dress then I am sure younger members of your family would love to see it. 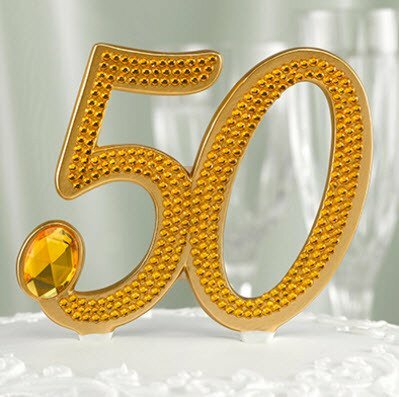 You could use photos from the past 50 years to decorate the party room and use your favorite to create a banner or you may have used them on your invitations too. 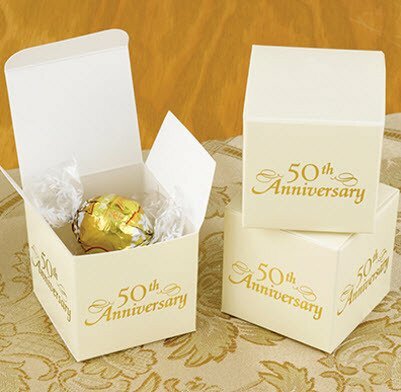 A memory or guest book from your 50th anniversary party is a lovely keepsake and one that you will look at for years to come. 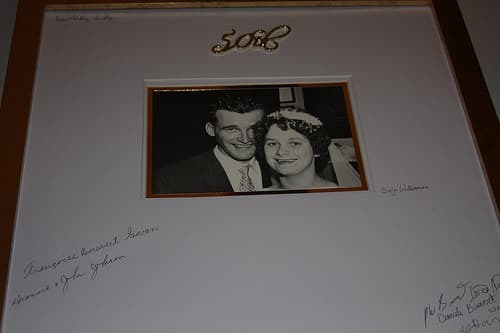 You could have a photo guestbook and ask your guests to sign around the photo. Or a more traditional book where your guests will be able to add messages too. 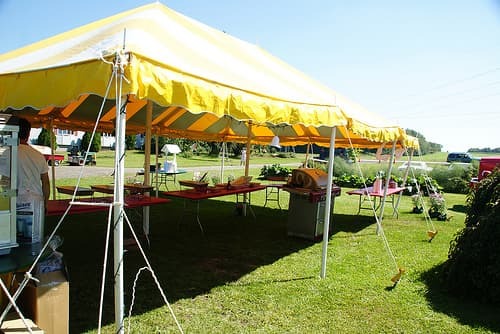 It is the little finishing touches that will make your party great, make your party personal to you and you will have the best time.